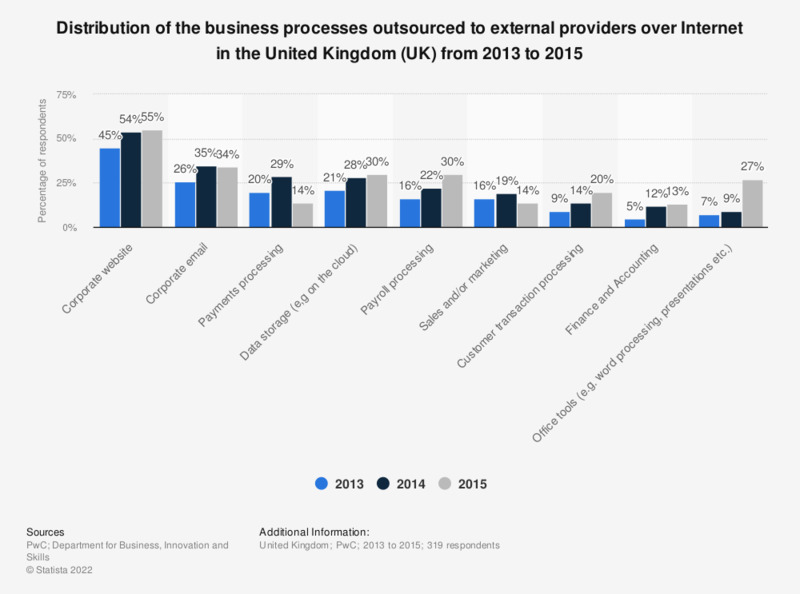 This statistic shows distribution of the business processes outsourced to external providers over the Internet in the United Kingdom (UK) from 2013 to 2015. In 2014, 28 percent of the respondents had outsourced their data storage processes. * In total, there were 664 respondents in 2015. Respondents came from all industry sectors. Approximately a third of the respondents were IT professionals, and the remainder were business managers, executives, non-executive directors.